A fringe group of anti-fracking activists and former presidential candidate Senator Bernie Sanders spent the last few weeks trying to convince the Democratic National Convention (DNC) to add an all-out ban on fracking to its official 2016 platform. But a fracking ban doesn’t align with the beliefs of a majority of Democrats, which the DNC acknowledged at the end of June and again last week when they chose to disregard these absurd demands. The response from activists? A whole lot of “crap” – and we’re not talking in the figurative sense. 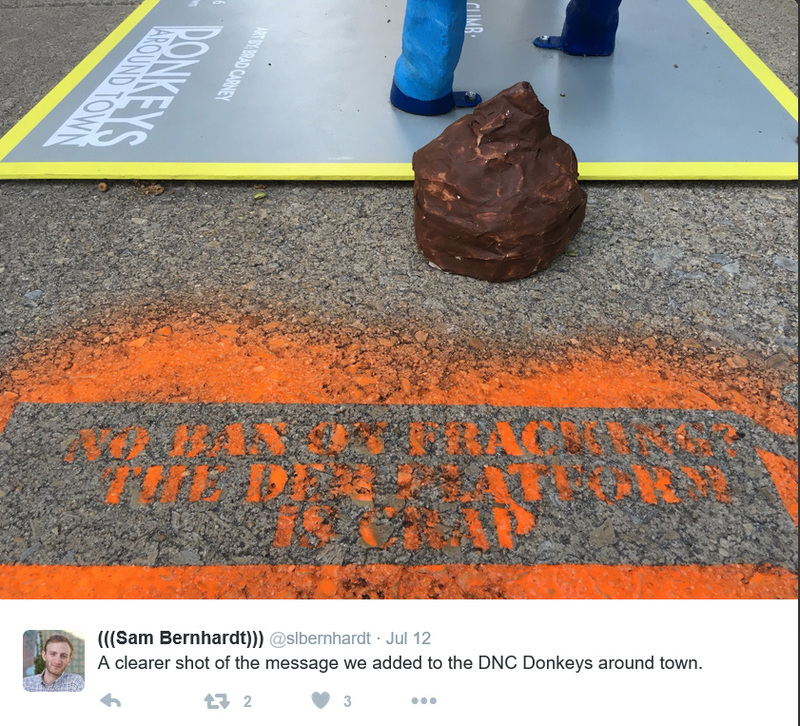 Activists led by Food and Water Watch took to the streets of Philadelphia—where the Democratic National Convention will occur later this month—and placed fake poop under the fiberglass statues of donkeys that can be found in multiple locations around the city. And it did: citizens showed they support the industry and fracking in Pennsylvania. At the end of the day, stunts such as these are just that. They are political moves that are not supported in science. The DNC has acknowledged that by refusing to give into the demands of a few fringe activists over the desires of the majority of its party.